We’ve put a twist on reading comprehension practice by incorporating a foldable craft…..the perfect brain break after the hard work is done! 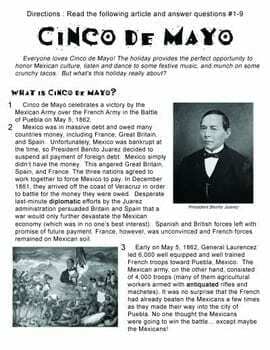 The students will be required to read the informational text article entitled “Cinco de Mayo”. The reading is followed by a comprehension assessment consisting of 8 multiple choice questions that reflect the Common Core Standards, and a short response question that requires text based evidence. 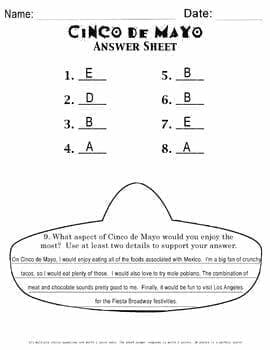 The multiple choice answers are recorded on the Answer Sheet provided and the short response is recorded on our Sombrero/Mexican hat Craftivity/Foldable template. 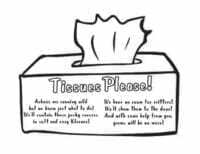 Next?….the real fun begins!…Students will color, cut and fold their way to adorable sombreros that can be displayed around your classroom or used for a Cinco de Mayo bulletin board. 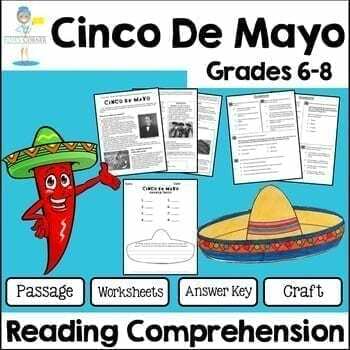 Sign entitled “Feliz Cinco de Mayo” (for classroom/bulletin board display)**Because we find “reading levels” to be quite subjective; this passage can be used for 6th, 7th, and 8th graders. Take a look at the text in the preview so that you can get an idea of its difficulty level. 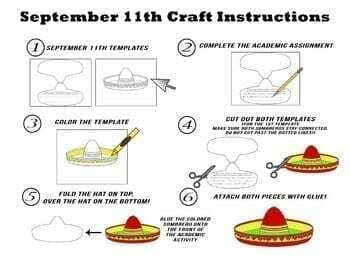 With this product your kiddos will gain invaluable experience with Common Core reading/questioning AND will be rewarded by designing their very own sombrero craft. 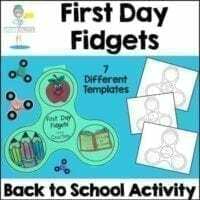 Informational Text – Questions & Foldable FOR THE ENTIRE YEAR! 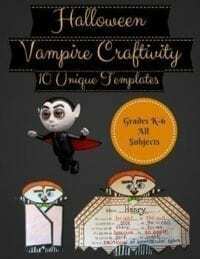 Halloween Vampire Foldable Craftivity – NO PREP!